Five Sacred Rosary Beads with the Kata Pra Putta Jao Ha Pra Ongk Imbued (Na Mō Put Tā Ya), bound to Chueak Daeng Akom red sorceror's cords, from the great Kroo Ba Chum. This bracelet is a Classic and Eminent member of the Tamniab Krueang Rang Pra Niyom Lanna Pantheon of preferred Sacred Amulets of the Northern Lanna Region. 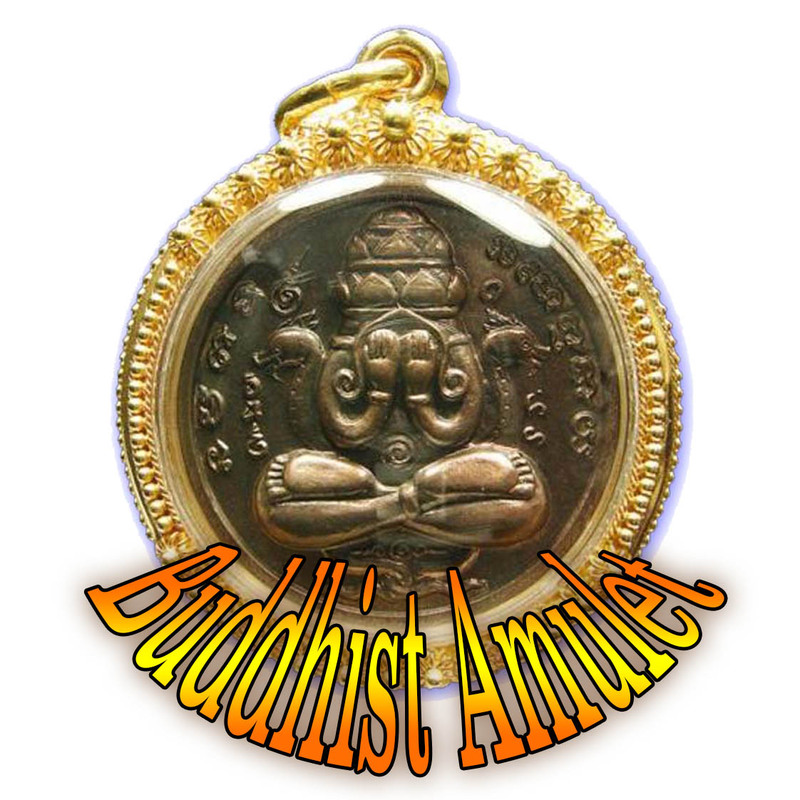 A very rare and sacred acquisition for the faithful devotee and avid collector, which can be worn for Protection, Prosperity wish fulfilment, good Karma, Prosperity, Mercy Charm, and prayer chanting. 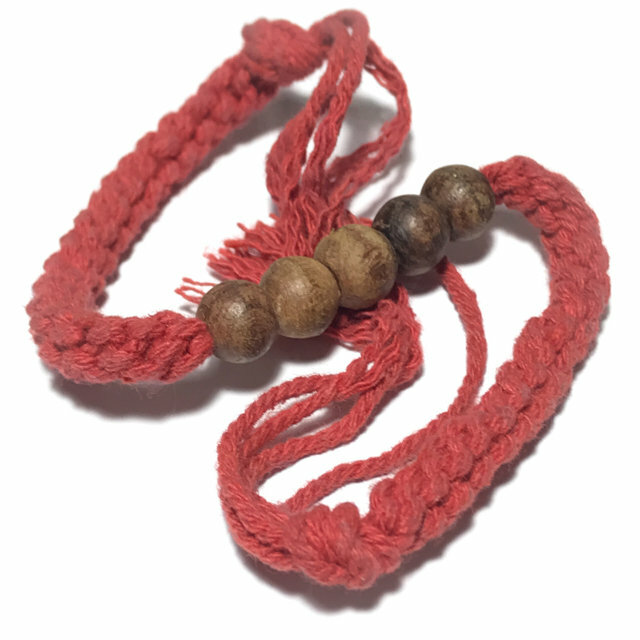 This bracelet is Blessed and empowered with various Wicha for protection and prosperity, mercy charm and good horoscope, and intended to be useful in assisting to increase Good Karma, and to be further empowered with your own Prayer and Kata Chanting. One can chant inwardly and silently to the same powerful effect as chanting out loud, and use the 5 beads to chant 'Na Mō Put Tā Ya'. The Kata Pra Jao Ha Pra Ongk is powerful for many purposes, for it invokes the five Dhyāni Buddhas, each of which emanates from a different sphere of this Universe. Luang Phu Kroo Ba Chum of Wat Wang Mui was one of the Great Guru Masters of the Thai Lanna Northern Sorcery Tradition, whose Talismanic Amulets command great respect and reverence, and are Legendary Prominent members of the Dtamra Lanna. His amulets are considered Master-Class, and are seen to grace the showrooms of the top auction rooms and museum cases of the serious devotee-aficionado, and avid collector of the Lanna Genre of Thai Buddhist Amulets. Luang Phu Kroo Ba Chum Potigo, of Wat Chai Mongkol (Wat Wang Mui), in Lampoon was born on the 7th February 2442 BE in the year of the Pig. He was given the name of 'Chum', with the surname of his parents Mr Moon, and Mrs. Lun 'Pla Win'. He had 6 Siblings, 3 of them sisters, and was the 5th child of the marriage. His family were an Ethnic Minority known as the La (or sometimes called 'Wa' or 'Lwa') people, and were farmers by profession. When the young boy Chum was old enough to help his parents with the farm fields, and the household chores. He was an extremely helpful child and was always doing more than is share to relieve his parents of their burdens, in all areas of the daily workload. When Kroo Ba Chum reached adolescence he went to study and be schooled at Wart Sri Sorng Mueang (Wat Hang). He learned the ways of chanting the many Mantras and Pali Prayers, and the Dhamma from the abbot of Wat Sri Sorng Mueang. Because Kroo Ba Chum was an excellent listener and learner, highly attentive, and caught on very quickly,he because the most favoured student of the abbot and other monks of the temple, and he was able to listen and learn the Dhamma of the Lord Buddha to the point of excellence, receiving the teachings every day as he attended and sought out the abbot for more teachings. This basic early foundation of training was to bring Kroo Ba Chum his great enlightened understanding of the Buddha-Dhamma very early on in his life. This in turn cause Kroo Ba Chum to see the Ordained Sangha and the path of the Buddhist Monk to be the most attractive option in life, and he developed greater interest in the Ordained Life. At the age of 12 years old, the young Chum asked his parents for permission to ordain as a Samanera Novice monk, and he Ordained at Wat Pratat Khaw, under the great Lanna Master, Kroo Ba Inta, as his Upachaya. Luang Phu Kroo Ba Chum made a solemn oath to himself that from that moment on he would devote his whole life to the Buddha-Dhamma as an Ordained Monk, and give is life in the service of Buddhism. Kroo Ba Chum thereafter studied Dhamma theory and practiced applied Meditation and Vinaya with ever increasing diligence and intensity. and the 40 Vipassana Kammathana methods as taught and decreed as the proper practice by the Lord Buddha Sakramuni. He developed is skills and purified his heart of the many Kilesas (Defilements) which shroud it. Iin addition to developing the eightfold path, he also studied aside from this the Sacred Agkhara lettering of magical inscription, and the methods of spellcasting and empowerment of amulets. His adept-hood even reached the point where he mastered the great Dtamra Yant Maha Pichai Songkram Ritual, which was used to conquer enemies and win wars in ancient times, and is one of the most complex and difficult Wicha to Master. Luang Phu Kroo Ba Chum was able to meet and learn deeper methods of Vipassana Kammathana methods from the great Kroo Ba Srivichai, and empowered his mind with more steadfast concentration, liberating it from the three marks of existence, and advancing towards the path of stream entry with Vipassana. During his years of Tudong Wandering, he was able to receive training from some of the greatest Lanna Masters of that Era, the most well known being; Kroo Ba Saen of Wat Nong Hmu, Kroo Ba Gam, of Wat Nam Jai, Kroo Ba Prohma of Wat Pra Puttabat Tak Pha (also known as Kroo Ba Prohmajak), and many others. When the abbot of Wat Wang Mui passed away, Kroo Ba Chum was asked by the devotees to become the next abbot, and the Sangha Commnittee elected him to be abbot, Kroo Ba Chum then remained in the service of Wat Wang Mui, and performed many great deeds, as well as traveling around the Provinces to teach the Dhamma, and to assist in many Buddhist Temple projects. He made many powerful Krueang rang Lanna (Lanna Occult Talismans), Monk Coins and amulets, all of which are important and prominent members of the Dtamra Lanna. 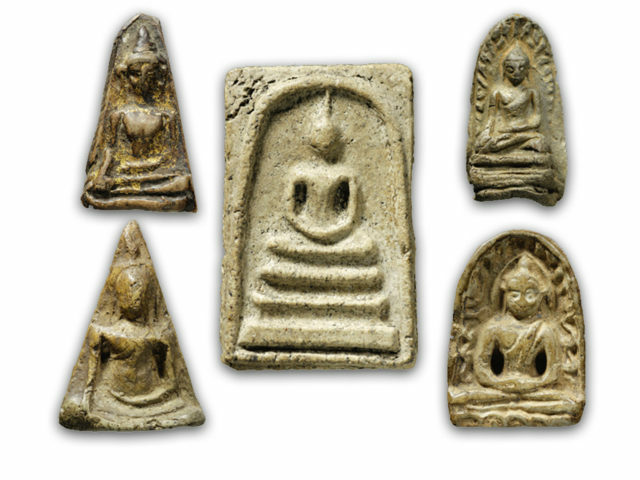 Any true historical documentary of the Dtamra Krueang Rang Lanna must include the pantheon of amulets of Kroo Ba Chum, for their primary importance. One of the most important Lanna Guru Masters of the last Century. Kroo Ba Chum passed away peacefully in the year 2521 BE, after a lifetime of devotion to Buddhism, and the Lanna People.